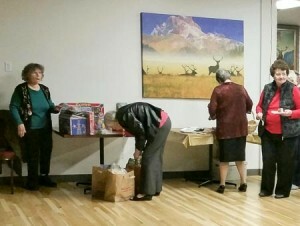 A holiday gathering by the Emblem Club included the traditional support for the Lake City Holiday Project this past December 2nd. Besides the usual good food, drink and company that is always present, a new wrinkle is their brand new location located on 15th NE across from the Goodwill Store. Having sold their original building on Lake City Way, the women of the Elks Service organization have patiently waited as their new site was readied for this hardworking group. Interesting note, the main floor at their new site actually consists of good looking hardwood from the old site (now new homes located behind the Taco Bell). The decision was not only a budget one, but also a way to reinforce the trend that never really went away. Conscientious care for the resources we all have hand in. 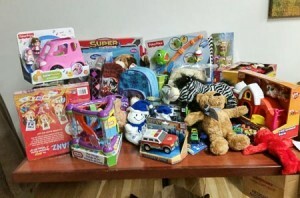 The floors look great and the evening yielded many thoughtful gifts for the kids in need in our community. 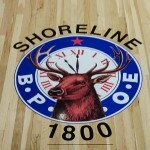 Thank you Emblem Club of Shoreline.